Khal Drogo is a fictional character in the HBO series Game of Thrones. He is a chieftain of the Dothraki people. he’s a powerful warlord and feared leader. He marries Daenerys Targaryen after her brother forces their union in exchange for ten thousand of his men. Khal later grows to love her. He raided a village to take slaves to help with the invasion to retake the Seven Kingdoms. After the fight was over he was challenged by one of his warriors because they thought him unfit because he was taking orders from Daenerys. After killing the warrior he got a scratch on his chest and is treated by the godswife. 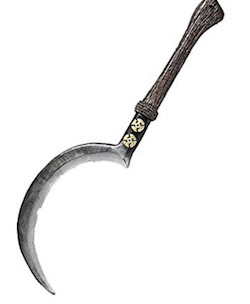 The wound festers and he becomes ill but the godswife uses blood magic and leaves Khal in a vegetative state in revenge for destroying her village. 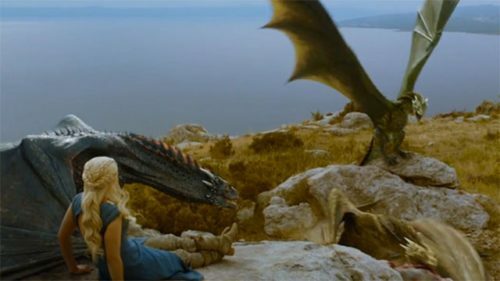 Daenerys is torn between killing him and letting him live but in the end she smothers him with a pillow. 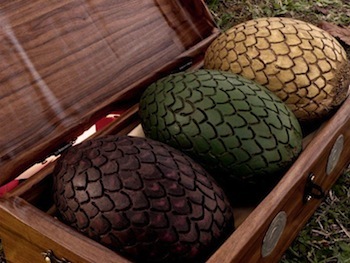 She then puts his body on a pyre and sets it on fire along with the dragon eggs she received on her wedding day. 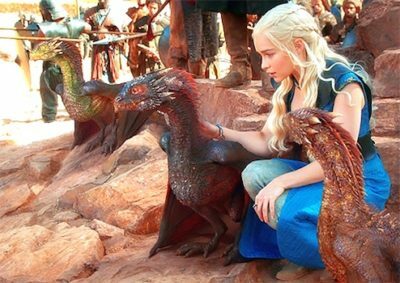 Daenerys walks into the fire and reemerges in the morning with three hatched dragons and she names the biggest one after him – Drogon. 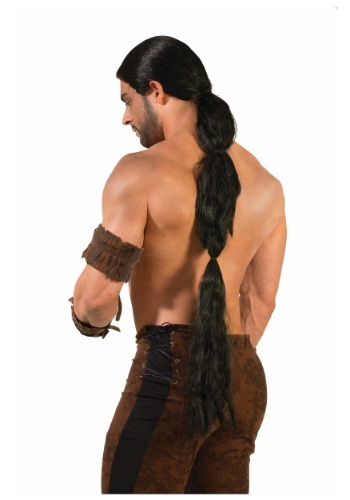 This is a great costume to go as a pair because one can be Khal Drogo and another can dress up as Daenerys. If you have little ones to take out, you can dress them as little dragons as well. 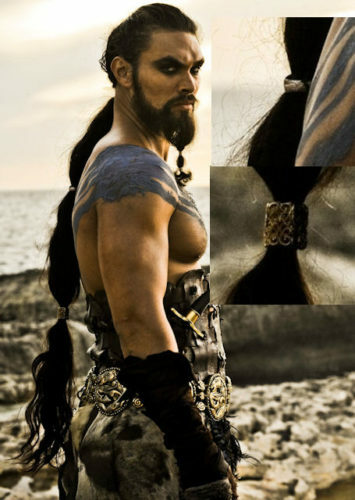 You can get Khal Drogo’s look too. 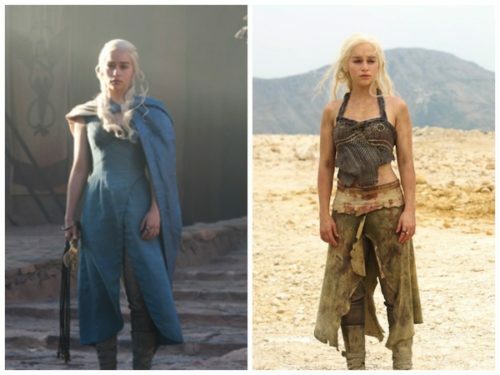 Here are a few Game of Thrones costume ideas that I came across.